One thing I often hear from many of our clients is, “I want something unique to us”, “something original and tasty… something our guests will enjoy and remember.” For some, planning these small details can be overwhelming and most of the time, after spending just a few moments listening to their vision I can get an idea of something unique for them to try or incorporate into their dessert station. We love hand crafting off menu dessert items. 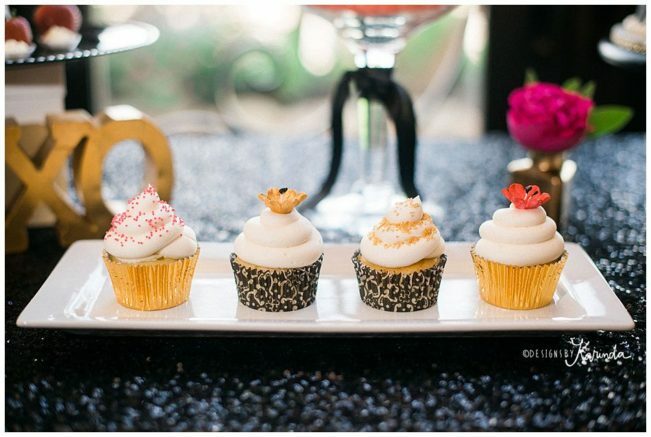 Mini desserts and sweets tables can sometimes be more costly than doing a wedding cake to serve the entire guest count so it’s important to have a realistic budget in mind when planning this type of idea. Depending on the labor required of the dessert and the size of the dessert, it can be a bit of a trick trying to figure out how many items you need of each sweet treat. That’s where we come in! We will discuss options that are affordable, personalized and unique to your favorite flavors. 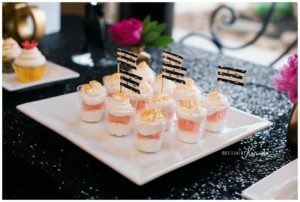 For example: mini strawberry shortcakes, tiramisu, chocolate trifles and banana puddings can be done in small disposable cups your guests can easily handle with drink in hand! Other options are our decadent buttercream topped brownies and gourmet cookies, cake pops, mini cheesecakes and mini cupcakes. 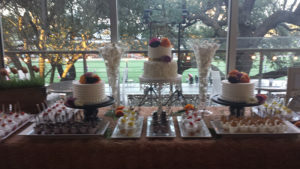 Whatever your flavor, we can help design the perfect dessert table around your favorites with a budget that won’t break the bank and a presentation to leave your guests snap chatting and facebook posting pictures to prove they were at the event of the year!